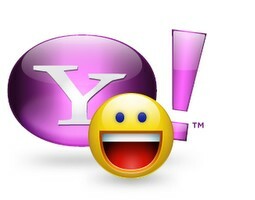 Yahoo announced the development of Yahoo Messenger 11, the upcoming version of the popular Instant Messenger for Windows. From the last version 10, Yahoo is making numerous changes to the Messenger features and that made it socially more useful. Yahoo Messenger 11 takes it on step forward. Like in Windows Live Messenger 2011 and Skype 5, Yahoo Messenger 11 has Facebook chat integration, that let you chat with your Facebook friends once the feature has been enabled. Moreover, you can update your status on Facebook, Twitter and Yahoo Pulse at the same time from within the YM11. 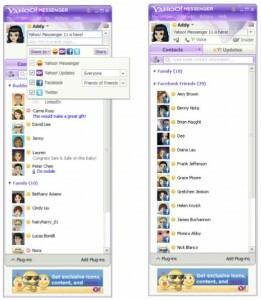 The user interface of the Yahoo Messenger 11 is almost similar to the previous versions. But here you have the option to change the color scheme of the UI from the top section, near to the minimize button. After installation, you will be asked to enter your Facebook ID and password. Thereafter it will keep you online in your Facebook profile through Yahoo Messenger interface. You can comment or like the Facebook updates of your friends from the Y! Updates tab. You can also link your Twitter profile to Yahoo Messenger 11 from the same tab. There is a share box and button provided near the Yahoo Avtar that can be used to post simultaneous status messages to Twitter, Facebook and Yahoo update services. 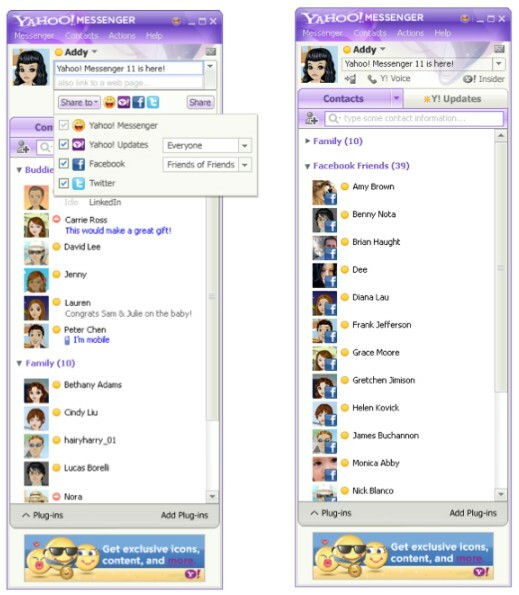 Another great feature of Yahoo Messenger 11 is the social gaming. Popular Facebook games like Fishville, Mafia Wars and some other games will be integrated with the final version of the YM 11. The good old ones: Group chats, video calls, free international voice calls, free SMS and PingBox for websites. As always, Yahoo has provided an online installer to Yahoo Messenger 11 that you would need to connect the internet to download the full setup file. Here is the direct link to the Yahoo Messenger 11 offline installer (beta) that you may download and save for future use. It still BETA version not Final version?